Ownership Pocono International Raceway, Inc.
Pocono Raceway has long been recognized as one of NASCAR's most competitive speedways. Pocono's unique 2.5-mile tri-oval features three turns, each with a different degree of banking, and three straights, each with a different length. This combination produces fender-to-fender action in the turns, 200 mph slingshots on the long straights and photo-finish endings. 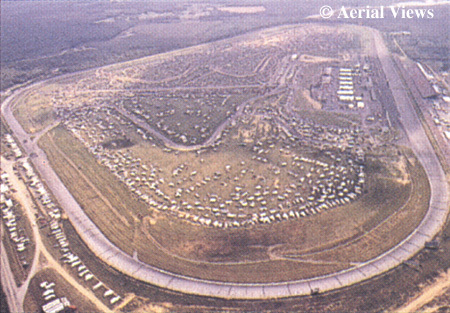 The combination of the track's own challenges and the fact that the three turns each have their own, individual characteristics has resulted in a unique description; Pocono is often defined as the "superspeedway that drives like a road course." Location: Three miles south of exit 43 off I-80 on Pennsylvania Route 115. For hotel, motel and campground accommodations, call toll-free 1-800-POCONOS.